Spread over five acres of prime land, Ansals Harmony Homes will house one hundred eighty units comprising of Ground Floor, First & Second Floor duplex and Second & Third Floor duplex. Offering a choice of options to suit everyone's needs - 2, 3 & 4 bedroom homes. Harmony Homes will be a manifestation of quest for architectural excellence. Each home will be designed with an accent on high aesthetic appeal, blending it with modern comforts. Living at Harmony Homes will be an experience in fine living even for your future generations to come. With wide open spaces that will invite you to stretch yourself and breathe freely. The front and rear balconies that will allow you to see nature in all its beauty. The windows that will bring in the freshness of the morning breeze. The natural environs that will enliven your soul. In-house club, swimming pool etc. 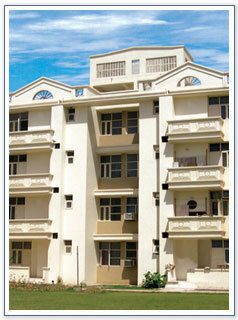 Located at Sushant Lok II & III, Gurgaon and just a 15 minutes drive from IGI Airport, New Delhi.